A-HOTEL.com - Luxury and cheap accommodation in Turka, Russia. Prices and hotel, apartment booking in Turka and surrounding. This indicative offer was derived from the most recently booked accommodation in Turka and sort by the price, from cheapest Turka accommodation to the most expensive hotels. To select accommodation by your preferences we recommend to choose from 1 accommodation offers in Turka in total. By entering the dates of your overnight stay in Turka and using the filter tools you can sort the best possible accommodation for you. The entered dates of your stay are crucial for the most accurate offer as it derives all the online information on pricing and availability of Turka accommodation. Then you can book the selected Turka lodging (hotels, apartments etc.) immediately. Facing the beachfront in Turka, Mebis Baikal features barbecue facilities and a garden. Boasting a 24-hour front desk, this property also provides guests with a children's playground. Located in Gremyachinsk, Vesely Kapitan Guest House features a seasonal outdoor swimming pool and BBQ facilities. The property has a terrace, as well as a shared lounge. Located on Lake Baikal, this hotel lies in the village of Gremyachinsk and features a sauna and a children’s playground. 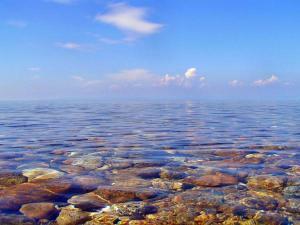 Free Wi-Fi is offered at Baikalskaya Riviera Hotel. Situated in Malyy Khuzhir, Usadjba u Petra provides free WiFi. Guests can enjoy mountain views. Mini-hotel Melodia Olkhona offers accommodation in Khuzhir. Private parking is available on site. Located 200 metres from the sandy beach on Lake Baikal and 4 km from Khuzhir, Baza Otdykha Pervaya Expeditsiya features a Russian sauna. Guests use external shared bathroom facilities. Situated in Khuzhir, BaikalWood Eco Lodge & Spa has a garden, terrace, shared lounge, and free WiFi. The accommodation provides airport transfers, while a bicycle rental service is also available. Set on the beachfront in Khuzhir, Guesthouse Lazarevykh has a terrace. At the guest house, each room comes with a wardrobe. Hotei Guest House is located in Khuzhir and features barbecue facilities and a terrace. All rooms boast a kitchen and a private bathroom. Offering a barbecue and views of the lake, Gostinyi dvor is located in Khuzhir. You will find a kettle in the room.